This is the effect of “Apex Legends” on my life — the latest major Battle Royale game to demand the attention of tens of millions of players. Since “Apex Legends” arrived in early February, it’s become the standard background game in my life. 1. 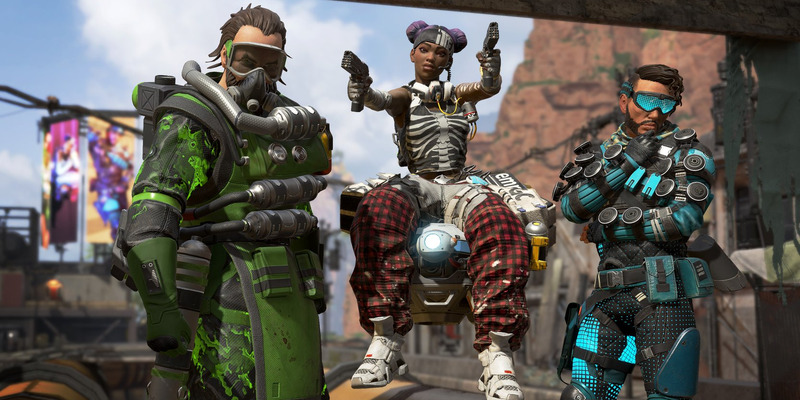 “Apex Legends” feels better to play, from gunplay to movement to strategy, than any other Battle Royale game available. Everything about the act of playing “Apex Legends” feels good, and the more I dig into the game, the more I find to love. The simple act of moving around is so thoroughly, thoughtfully detailed that it bears praising. Here’s a very basic overview: Every character moves at the same speed, whether walking or running. While running, you can push the crouch button to slide — this offers you a minor speed boost if you’re on flat or sloping ground. Every character can jump, and if you hold jump while leaping into a wall you’ll clamber up the wall.